This FBI interpreter married the ISIS terrorist she was supposed to be investigating in a completely unexpected turn of events. Pretty sure it wasn’t on the mission breakdown to actually marry a jihadi extremist fighting in Syria, but yet this seems to be the case for this FBI interpreter. Daniela Greene was supposed to be interpreting for ISIS terrorist Denis Cuspert, but instead she ended up falling for him, tracking him down and marrying him, CNN reports. 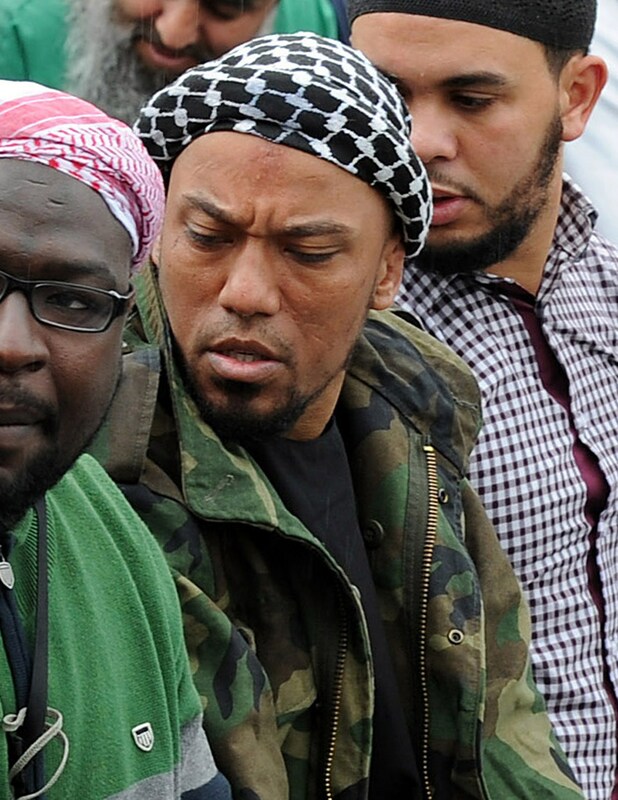 German-born terrorist Cuspert – who was also a rapper known as Deso Dogg – was thought of as one of the most violent in Syria and has been videoed holding human heads, praising Osama bin Laden and threatening Barack Obama. Greene, the 38-year-old agent, could have been reeled in by the brainwashing tactics of the extremist – known in Syria as Abu Talha al-Almani – but after a few weeks of their marriage she panicked and returned to the states. On her return, the confused interpreter was arrested and served two years in prison, after pleading guilty to making false statements about terrorism. Her short prison sentence came under fire from critics who believed it was way too lenient in relation to the crime she committed. According to CNN, other people involved with ISIS, including those who signed up to fight, usually serve much longer sentences of around 13 years. The whole situation has proven to be a damning blow for the U.S intelligence service. It’s a stunning embarrassment for the FBI, no doubt about it. Greene moved to the states after marrying an American soldier and in 2011 she became a contracted linguist for the FBI, before being assigned the case of German terrorist ‘Individual A’ – the code name for Cuspert. Before entering into their camp, the Czechoslovakia-born interpreter would have had to have been approved by an ISIS leader, which means she must have been in contact with him before she left. In June 2014, Greene lied to the FBI and said she was going to visit family Germany, but instead, she flew to Turkey and onto Gaziantep, not far from the Syrian border. At this point, she met Cuspert and married him – although she was also still married to her previous husband at the time – but a month later, it was all over. I was weak and didn’t know how to handle anything anymore. I really made a mess of things this time. Greene’s regrets kept coming as she continued to email her friend from Syria and as things deteriorated she wrote, ‘I wish I could turn back time some days,’ adding the fact she knew if she came back, she would go to jail. She was just a well-meaning person that got up in something way over her head. Somehow Greene managed to escape the war-torn country and her terrorist husband though and arrived back in America where she was promptly arrested. If I talk to you my family will be in danger. Cuspert’s rise to terrorism is an interesting story, as throughout the 2000s he was a rapper in Germany and opened a set for rapper DMX in 2006, before nearly dying in a car crash in 2010 and turning to Islam. Just three years later, Cuspert had become radicalised and entered to serve in the heart of the ISIS terrorist group in Syria. In 2015 he was reported to have been killed in an air strike, although this no longer seems the case, as nine months later, the Pentagon admitted he was still alive… Confusing. Still a better love story than Twilight.